With Christmas rapidly approaching some of you may still be confounded by the question of just what to give that Nevada friend or family member. May we be so bold as to suggest a gift that endures — books about Nevada or by Nevadans. The choices are as varied as Nevada’s people and its landscapes. These can be found in your local bookstore and online from several book retailers in hardback, paperback and electronic versions. 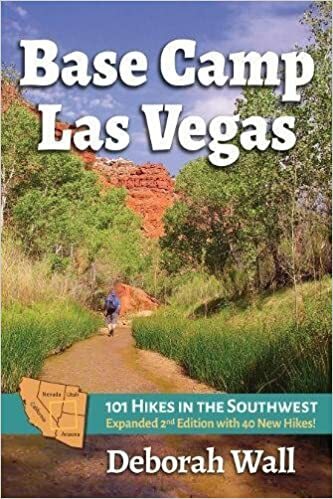 A book that will open the reader to the wonders of Nevada and the Southwest is Deborah Wall’s expanded 2nd edition of “Base Camp Las Vegas,” a guide to 101 hikes in the region. Packed with photos, the book tells one how to get there, when to go, how to prepare, what to expect and what to avoid. It is a must for the explorer. Just in time for holiday giving, Range magazine has published another of its gorgeous coffee table books — “The Magnificent American West,” which features colorful, award-winning photographs along with the wit and witticisms of Theodore Roosevelt and Mark Twain. 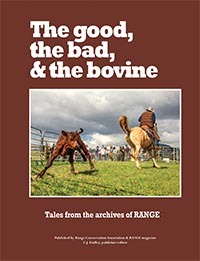 At rangemagazine.com one can also find several other books about Nevada and the Western lifestyle, including collections of cowboy poetry and art such as “Brushstrokes & Balladeers” and “Reflections of the West,” which include poems by Nevadan Waddie Mitchell. 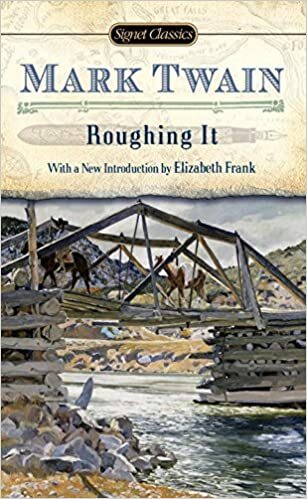 Of course, no Nevadan’s library is complete without a copy of Twain’s “Roughing It,” which recounts his sojourn in Nevada during the Civil War and his misadventures in newspapering as a reporter and briefly as an editor. He claimed his editorials prompted no less than six invitations to duel. To learn more about the truth-stretching Twain, one could pick up a copy of Andrew Hoffman’s biography, “Inventing Mark Twain,” which relates how Sam Clemens really came by his nom de plume. “People who knew Sam in Nevada said that he arrived at the pseudonym by entering a saloon and calling out in the leadsman’s singsong intonation ‘Mark twain!’ — meaning the bartender should pour two drinks and mark them down on the debit ledger,” writes Hoffman. From the same era comes Twain’s editor’s reminiscences about “The Big Bonanza” — Dan de Quille’s foray into the goings-on during the days of the Comstock Lode. In a similar vein comes Robert Laxalt’s “Sweet Promised Land,” which reflects on Nevada’s formative years and his father’s visit to his native Basque homeland. Sally Denton’s “Profiteers: Bechtel and the Men Who Built the World” recounts the engineering feat that produced the landscape altering Hoover Dam. The newest addition to the list of books by Nevadans, if not necessarily about Nevada, is so new it will not be available in print until March, but one may order it now and put a printout of the book cover under the tree. Longtime Nevada writer, editor, investigative journalist, essayist and shirt-tail historian A.D. Hopkins has penned a fictional account from his boyhood home in western Virginia during the Eisenhower era called, “The Boys Who Woke Up Early.” It looks at the seamy side of life through the eyes of high school boys. 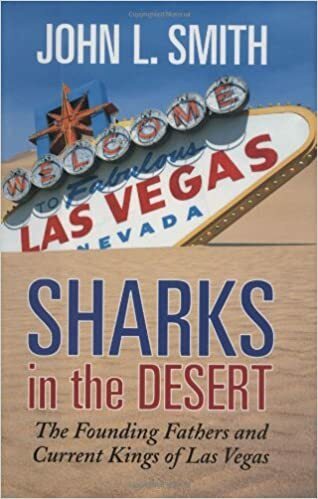 For a look at how Nevada corporations edged out the mob to take over the gaming racket, there is longtime newspaper columnist John L. Smith’s “Sharks in the Desert.” One might also peruse his books about gambling execs Steve Wynn and Bob Stupak and mob attorney-turned Las Vegas mayor Oscar Goodman. 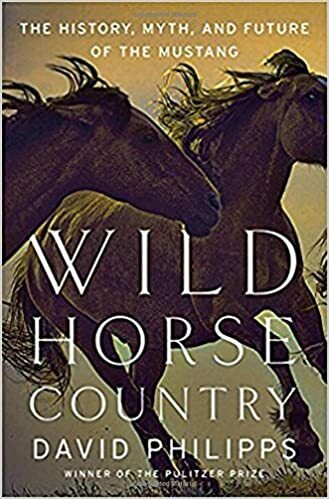 We also recommend Colorado-based writer David Philipps attempt to answer the question about what to do about the West’s burgeoning wild horse population in his book “Wild Horse Country.” The book sweeps across a span of time and landscape as vast as the range of the wild horse, delving into views and suggestions from horse-huggers and horse-disparagers alike, turning more than a few colorful similes and metaphors along the journey. To span the human history of Nevada, there is prolific Nevada chronicler Stanley Paher’s retrospect on the state’s first 150 years with “Nevadans: Spirit of the Silver State,” which takes the reader from the earliest explorers and emigrants through the mining and ranching eras to modern times. May your friends and family appreciate you and your gifts. Christmas is coming and you’re still scratching your head over just what to get for that special Nevada friend or family member. How about a gift that will keep giving for years to come — a book, specifically a book about Nevada and/or the West? Philipps explores the history of the wild horse in the West with a number of stops along the way in Nevada. 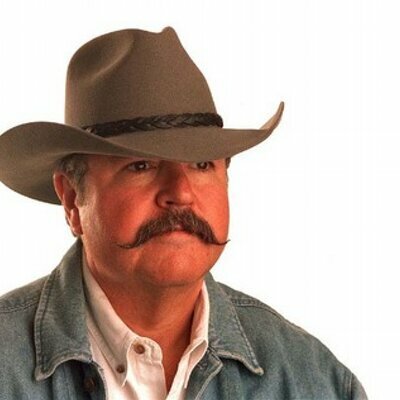 He also addresses the issue of feral horse overpopulation and delves into the various options for solving the problem. It is thought provoking and informative. In November, Range published a collection of articles and photos from its archive of thorough coverage of the people, places and issues touching on ranching and farming on the rangeland of the West. Titles include: “Don’t Fence ’Em In,” “The Ultimate Recycler,” “It’s in the Breeding,” “Cow Pie” and “A Ranger’s Reflection” — dispatches from the empty quarter. The magazine also has available on its website other books from recent years. Two of my favorites are “Brushstrokes & Balladeers” and “Reflections of the West.” Both are coffee-table quality books packed with insightful poetry about life on the range and eye-popping paintings that stand up to favorable comparison to Remington and Russell. The wink-and-a-smirk doggerel of Elko’s Waddie Mitchell is worth the cover price alone. Then there are the books from the dawn of the state’s history that should be on every Nevadan’s bookshelf. 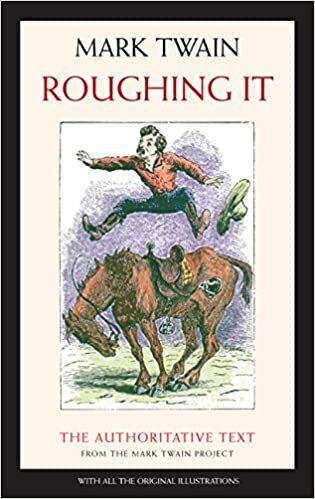 These include’s Mark Twain’s “Roughing It,” of course, about his sojourn in Nevada during the Civil War and his misadventures in newspapering as a reporter and briefly as an editor. He claimed his editorials prompted no less than six invitations to duel. To learn more about the truth stretching Twain, one could pick up a copy of Andrew Hoffman’s biography, “Inventing Mark Twain.” My personal favorite insight is Hoffman’s busting the myth that Sam Clemens took his pseudonym from his steamboat days. For insight into the people who invented modern day Nevada, there are books such as Dallas Morning News reporter Doug Swanson’s “Blood Aces: The Wild Ride of Benny Binion, the Texas Gangster Who Created Vegas Poker.” The book takes the reader from Benion’s humble beginnings in Pilot Grove, Texas, to dangerous Deep Ellum in Dallas, until he drifted and grifted — and reportedly killed — into downtown Las Vegas. Sally Denton reveals the company and the men who built Hoover Dam in her thoroughly researched book “The Profiteers” about the Bechtel Corporation. Denton and Roger Morris also penned a book titled “The Money and the Power” about the making of Las Vegas since World War II, offering insightful peeks into the likes of gangsters Meyer Lansky and Bugsy Siegel, politician Pat McCarran and newspaper publisher Hank Greenspun. For those who would like to climb out of the armchair and go visit on foot some of the gorgeous landscapes in Nevada and neighboring states, there is travel writer Deborah Wall’s “Base Camp Las Vegas,” which details how to get to and how to explore 101 hiking trails — from Arches to Zion National Parks, from Death Valley to the Ruby Mountains. Many of these are available in local bookstores. All can be found online with the aid of a search engine. And finally a blatant plug. If you’d like to keep your Nevada friends and family informed in the future, you can always give a subscription to this newspaper.